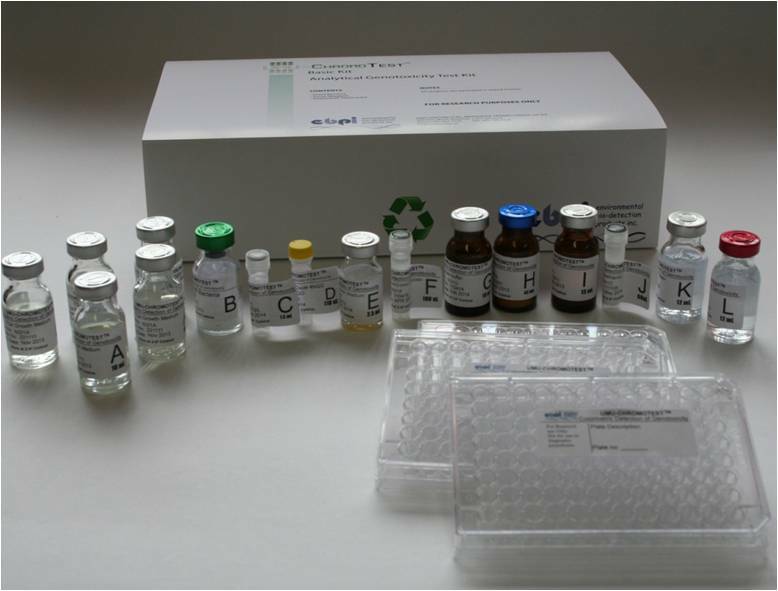 UMU-ChromoTest TM kit, for rapid detection of genotoxicity or DNA damage. 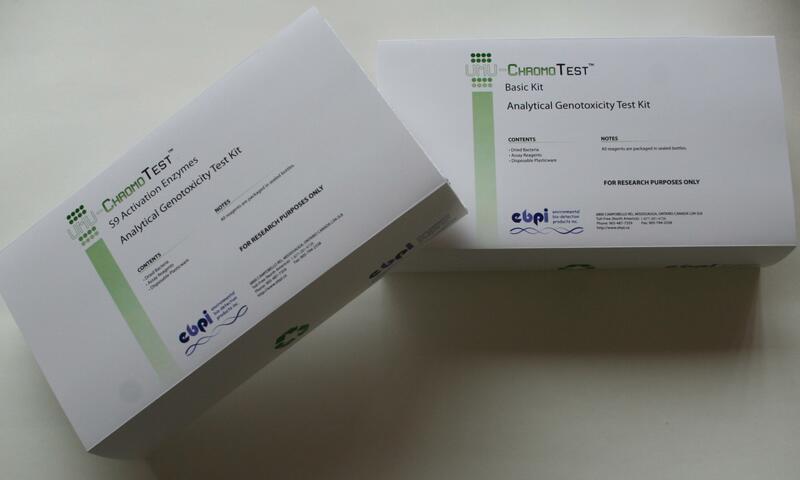 EBPI has developed the umu-c test into the UMU-CHROMOTESTTM ,a simple procedure based upon the International Organization for Standardization protocol ISO 13829 (Water Quality- Determination of the genotoxicity of water and waste water using the umu-test) which can be performed easily in a non‑specialized laboratory. The test uses a single strain of bacteria, however, it can detect different types of genetic damage, and closely matches results from the traditional Ames test (approximately 90% agreement). The Umu test is rapid, simple, highly reproducible and represents significant reductions in material expenses and labour compared to the tradional umu-c test and other methods. Each umu test kit contains all the reagents and disposable materials necessary to test up to six samples, including dilutions and controls. For quantitative measurements, it is often necessary to allow for an adequate range of sample dilutions and replicates, thus testing six or less samples with each kit. 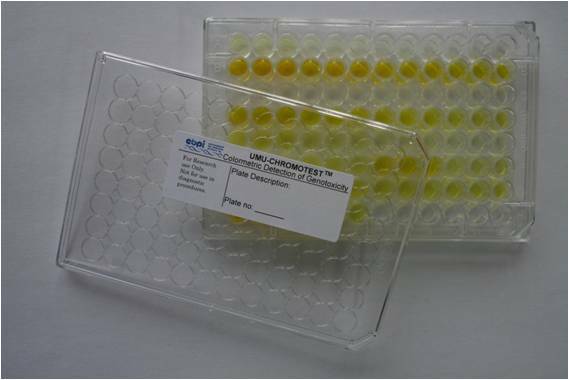 Below is an example plate used to detect the DNA damage when a genotoxic material is exposed to the UMU-ChromoTest Bacteria. By streamlining the protocol and including an Excel analysis template, the UMU-ChromoTest kit (UMU-ISO TEST) allows the analysis of results which can be related to laboratory work all around the world. Should you require more background material about the UMU-CHROMOTESTTM and its applications, please contact a representative.